The instruction is carefully sequenced along researched-based learning progressions, increasing incrementally and gradually in challenge level through the year. There are nine units of instruction corresponding to the nine months of the school year. Each unit is divided into four modules, with five sessions per module, for a total of 180 possible sessions. Unit introductions include suggestions for ways teachers can adapt the content to fit their calendars and their classroom needs. Each classroom package supports up to 20 students. 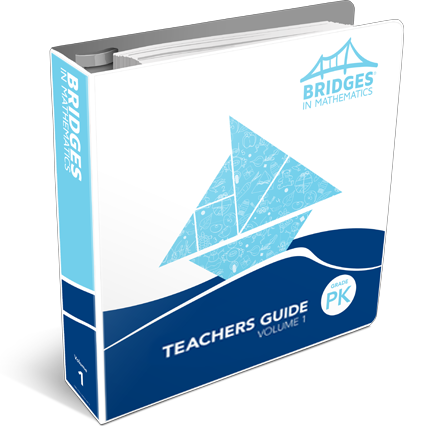 The Pre-K Story Collections are included in each Bridges Pre-K Package. 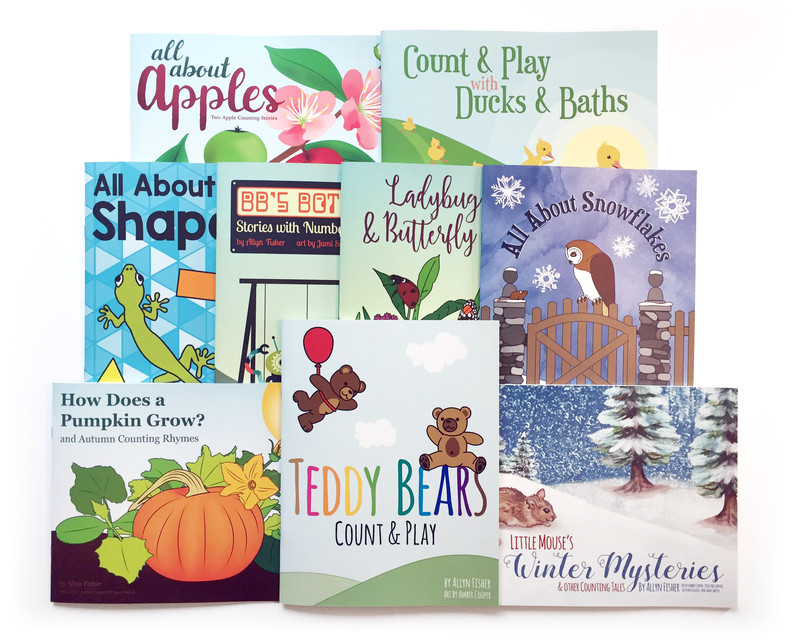 This collection of stories contains nine beautifully illustrated read-aloud books, one for each unit of Bridges Pre-K. Each book presents 2–4 mathematically rich stories for particular Number Corner workouts or Problems & Investigations activities. The selections feature theme-based counting and numeral recognition, sequencing, shapes and locations, and very early addition and subtraction. 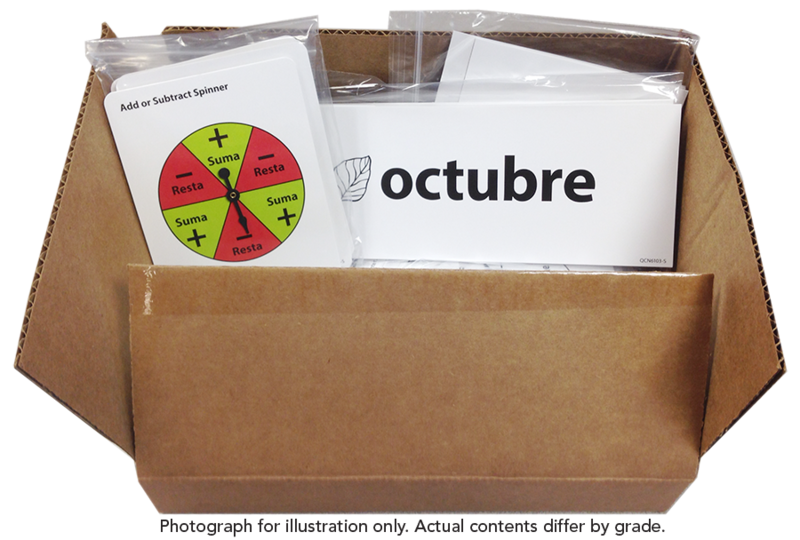 Contains Spanish versions of the game boards, card decks, spinners, etc. that require translation. Does not include those components without text or those displaying only numbers. Intended only for use with a full Bridges Pre-K Package. Teachers guides are not included. Replacement divider tabs for use with Bridges in Mathematics 2nd Edition Pre-K Teachers Guides.